From the get-go, Warner Bros. has worked to establish its film and TV universes on two separate tracks, allowing for two distinct incarnations of Barry Allen (The Flash) and many more renown DC icons. 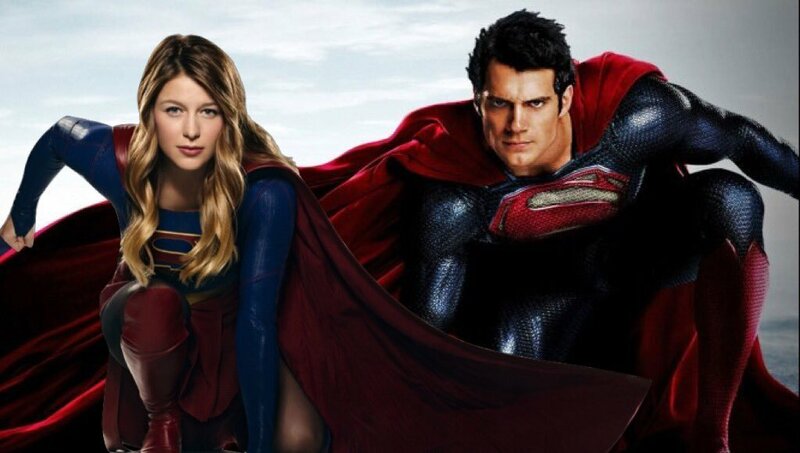 That looks set to continue for the foreseeable future, too, and if allegations posted by 4chan (via Reddit) are to be believed, the studio’s Man of Steel 2 will herald Supergirl’s introduction to the DC Extended Universe. It’s the latest unfounded piece of speculation in a report full of them (see: Batgirl, The Batman), so it’s best to take this one with a pinch of salt. Last we reported, Kingsman: The Golden Circle helmer Matthew Vaughn had allegedly been offered a choice between Man of Steel 2 and The Flash solo movie. Neither film has announced its director at the time of writing, but at least according to 4chan’s findings, the Man of Steel sequel may be further along than initially thought. Amid the allegations, 4chan’s sources claim that Zack Snyder (Justice League) and DC stalwart Geoff Johns completed a spec script back in November, and that multiple writers have now been approached about the possibility of fleshing out Man of Steel 2 into a full feature film. Not unlike the recently-released Injustice 2, it seems the all-powerful Brainiac is line to become the film’s primary villain and, perhaps most exciting of all, MOS2 may bring about the introduction of Kara Zor-El to Warner’s cinematic universe. Indeed, Supergirl has found great success on the small screen, where Melissa Benoist has played the iconic heroine for two seasons. But now, it appears the Powers That Be over at Warner Bros. are ready for the advent of Kara Zor-El. And what better way to do it than to include Supergirl in the as-yet-untitled Man of Steel 2? The sequel to Man of Steel has been developing in secret. Geoff Johns and Zack Snyder finished writing a story for the film back in November. Multiple writers were approached to turn into a screenplay including the writers from Watchmen and the 300 movie series. Brainiac will be the villain and Supergirl will be introduced to the DCEU. Without a release date or even director to call its own, it’s still early, early days on Man of Steel 2. Nevertheless, you can share your own thoughts on this alleged story trinket via the comments section below. Just remember, this is strictly a rumor and given that it stems from 4Chan, it should be taken with a fairly large grain of salt.